Learn more about the industries we are serving. All our educational products are designed to be fit for purpose. Find out how our clients benefit from working with a FELIX 3D printer. Learn more about the possibilities of 3D printing. A database filled with honest reviews from exsisting clients. Useful guides for you to learn all there is to know about 3D printing. Learn everything about 3D printing with FELIXprinters. All essential downloads for software, firmware, manuals, tutorials and more. The place to meet with fellow FELIX enthusiasts. 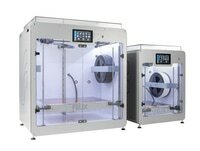 Find the relevant manual for your FELIX 3D printer. Click on the thumbnails below to see fullscreen images. 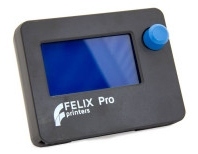 The FELIX Pro 1 hot-ends are designed to be durable, reliable and easily detachable. A genius system consisting of magnets keeps the hot-end firmly in it's place to prevent any unwanted vibrations during movement. It also allows for easy removal of the hot-ends. The detachable hot-ends enable the user to easily clean or swap the nozzles. To ensure a long lifetime and high durability, the FELIX Pro 1 hot-ends are fully made out of metal. Shipment within a day after payment. High quality service. Transport without damage. Unsatisfied? return within 14 days and get your money back. Only the most reliable payment methods are available. Just in case. Of course we only ship out perfect products. Experiencing trouble with your FELIX? Feel free to contact us!